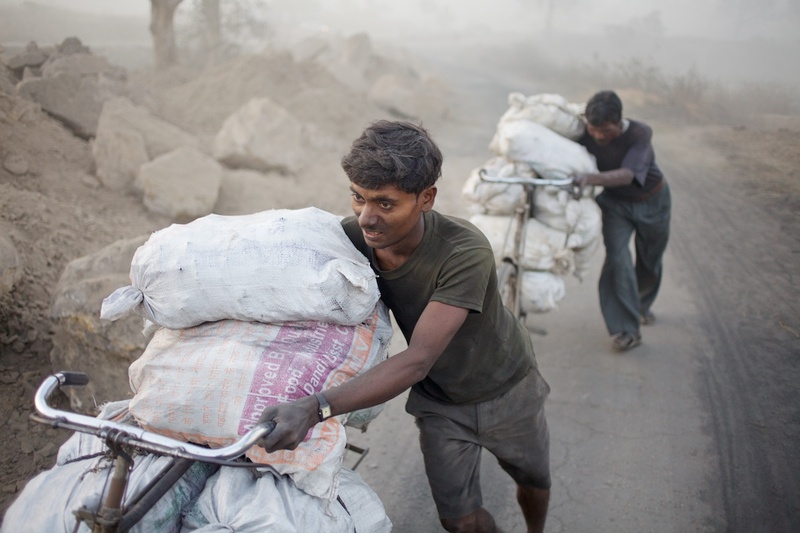 I was lucky enough to work alongside Jason Miklian earlier this year when the two of us travelled together to visit the coal-mining areas of India’s Jharkhand state. Jason is an unassuming and very amiable traveling companion and I found his wry sense of humor welcome relief from the desperate conditions we witnessed while roaming this largely-forgotten corner of India. You can read about our experiences here. Jason is a researcher with the Peace Research Institute in Oslo and, together with award-winning journalist Scott Carney, he has just published an article on Indian mining in Foreign Policy Magazine. Miklian and Carney’s story documents the shocking conditions forced upon local people in the name of progress and development in both Jharkhand and the neighbouring state of Chhattisgarh. As Miklian and Carney report, so widespread is the injustice and so deep the sense of alienation and powerlessness, that many indigenous people have thrown in their lot with a Maoist insurrection that Prime Minister Manmohan Singh considers the greatest threat to the internal security of India. Though they may once have been motivated by a desire to confront the exploitation of local people by mining companies, the Maoists now largely concern themselves with extorting money and have become as much a business as anything else – one that will remain profitable as long as the country’s mines continue to churn out the mineral resources that fuel India’s economy. … the part of the country that produces the iron for the buildings and cars, the coal that keeps the lights on in faraway metropolises, and the exotic minerals that go into everything from wind turbines to electric cars to iPads… If you were to lay a map of today’s Maoist insurgency over a map of the mining activity powering India’s boom, the two would line up almost perfectly. Over that map, you could place another delineating levels of poverty and find it too corresponding almost exactly. You can read Jason and Scott’s excellent article in Foreign Policy Magazine here. The published article features a few of my photographs too. Tom, your photos were great in this piece. It really helped bring it together. I’m glad that we were finally able to publish together. Hopefully next time we get to head into the field at the same time, too. Absolutely Scott! Looking forward to us sharing the cups of tea and road-side samosas that are an essential part of travel in India. Wish you continue with this very commendable work of yours.I wish this is read by Indians especially who aren’t even aware of such places ,forget the plight of people over there. The states that drive India are ground to dust by faulty and absolutely short sighted Government policy and overwhelming public apathy. Whatever these illegal miners are doing, they can not be blamed for it. Then who is responsible for all these illegal activites? It is the govvernment, “The Government of India” who is promoting neoliberal ideology at the costs of these marginalised sections of our society by snatching their land and transfering the same to the corporate houses for their own vested intrests.